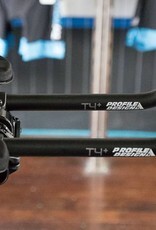 The Profile Design T4+ aerobar is adjustable and durable with a comfortable extension shape. 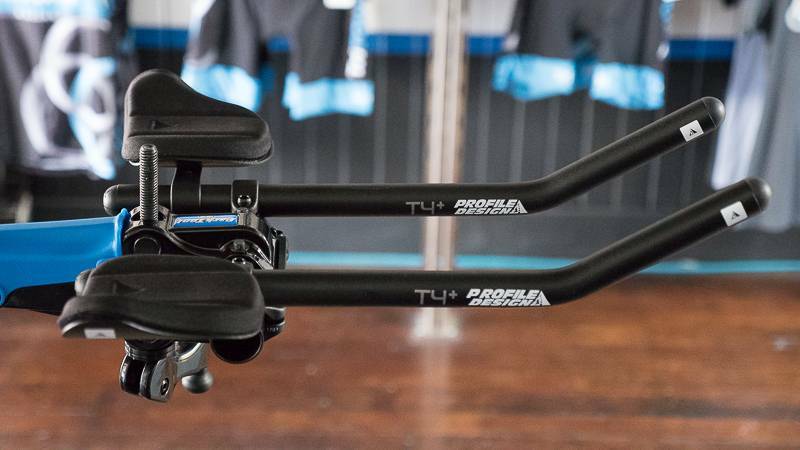 The Profile Design T+ series aerobars, dollar for dollar, are some of the best aerobars on the market. Affordable, adjustable, light, and durable. There is little more an new triathlete can ask for in an aerobar. We say "new triathlete" because a new triathlete needs adjustability and comfort. A good bike fit will get you 90-95% of the way to your perfect position. But there is no denying that the trials of miles is necessary to determine your PERFECT position. This is where the T+ series shines. 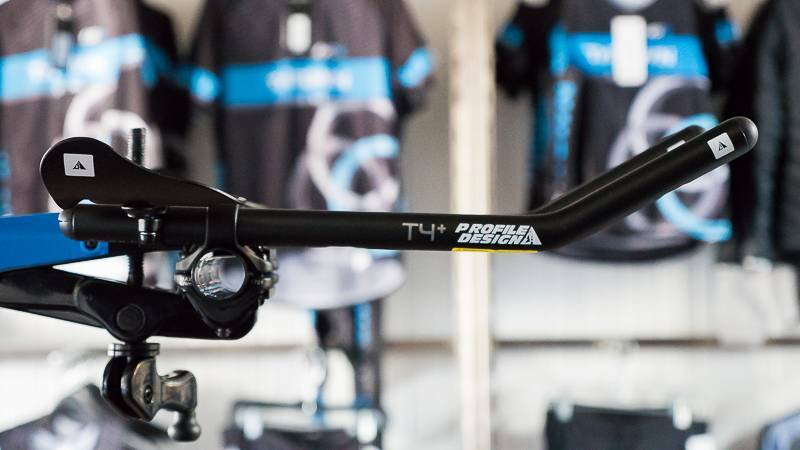 The T+ series aerobars provide all the adjustability you could ask for. 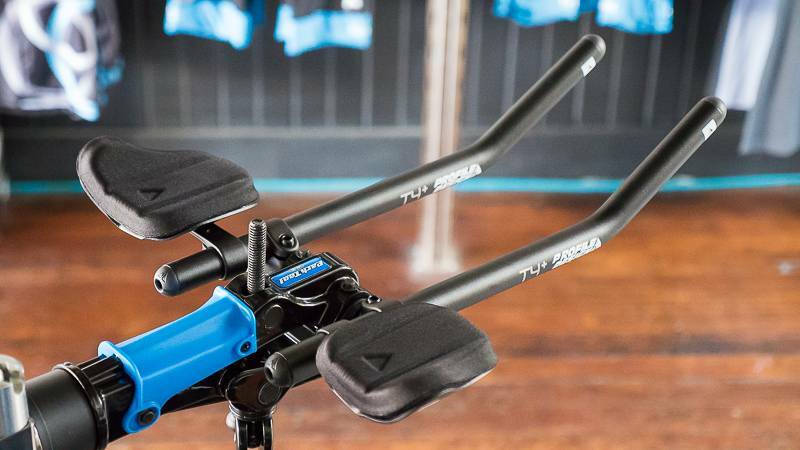 The aerobar extensions can quickly extend in or out, and assume any tilt angle. The armrest are adjustable fore and aft, as well as narrow or wide. 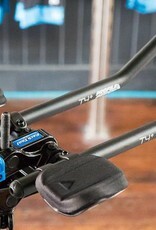 You can pedestal the entire aerobar itself with riser brackets. All combined, you have the options to find the position that works best for you. And it does it all with simple and durable M6 bolts that are easy to adjust and not prone to stripping out. Your bike fitter and mechanic will thank you! The J2 brackets are F19 armrest do the work of supporting your upper body while in the aero position. Like the rest of the bar, they're simple and durable. The F19 pads are well cushioned and absorb sweat well. Tenacious velcro prevents them from flying off. 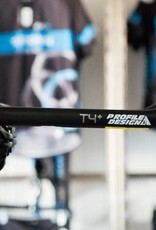 The T4+ has a comfortable extension shape. The extension rises into your hands, keeping your wrist in a neutral position.